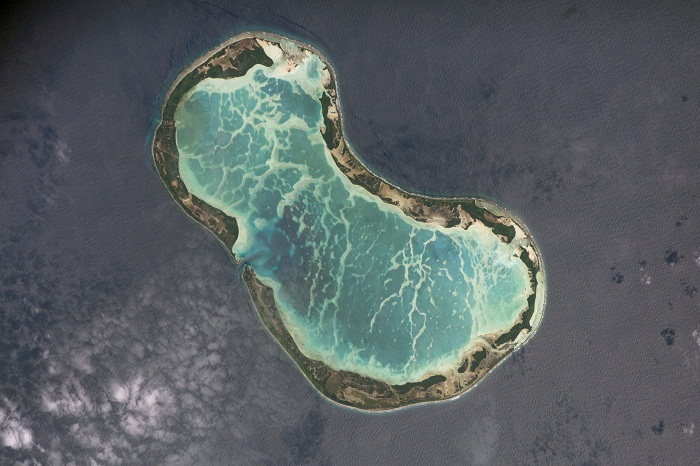 Tabuaeran, also known as Fanning Atoll, is a small atoll which is part of the Line Islands in the Central Pacific Ocean, and it is part of the Republic of Kiribati. 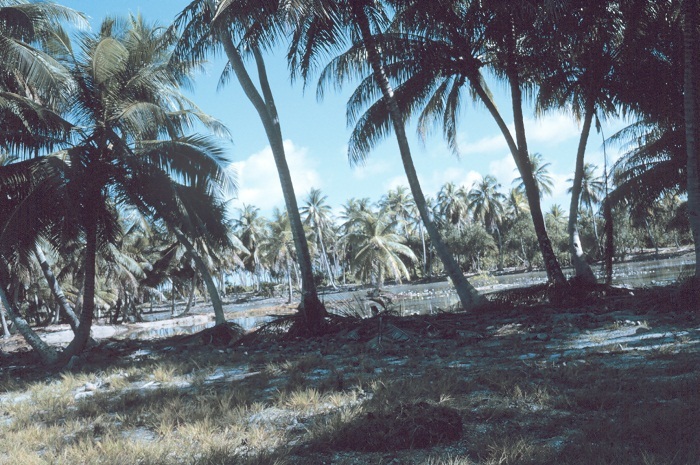 Having an area of about 34 square km (13 square mi), Tabuaeran Atoll was at one time a frequent stop for cruisers which stopped here in order for tourists to be able to enjoy in this small paradise which was given to the local I-Kiribati people. 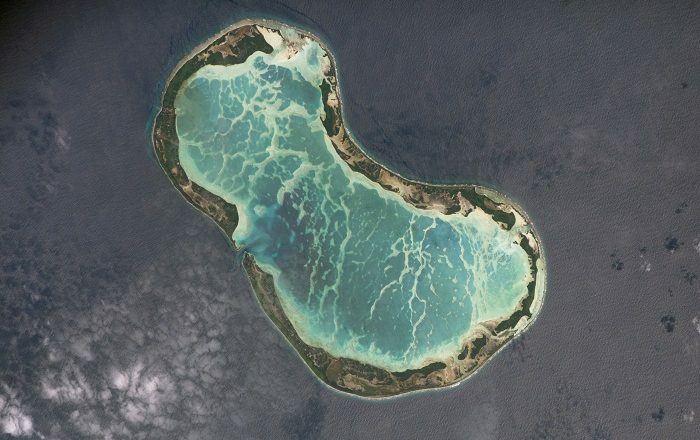 Throughout its history, the atoll was first sighted on 11 June 1798 when the American explorer and sea captain, Edmund Fanning, discovered it with his ship Betsy, and found out that there were no natives who lived here. 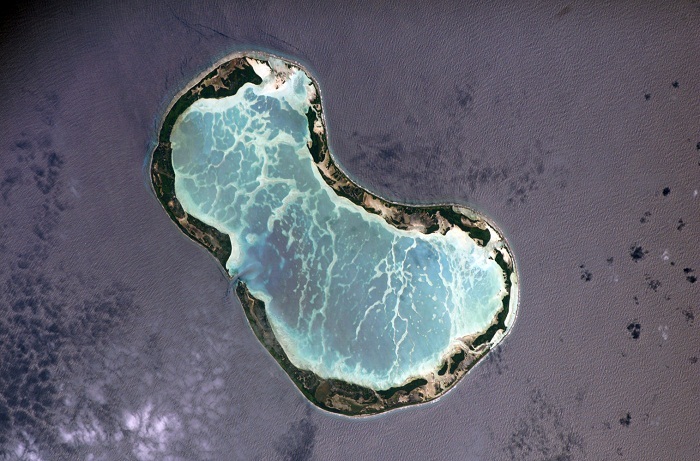 Soon after, the atoll was named in his honor. 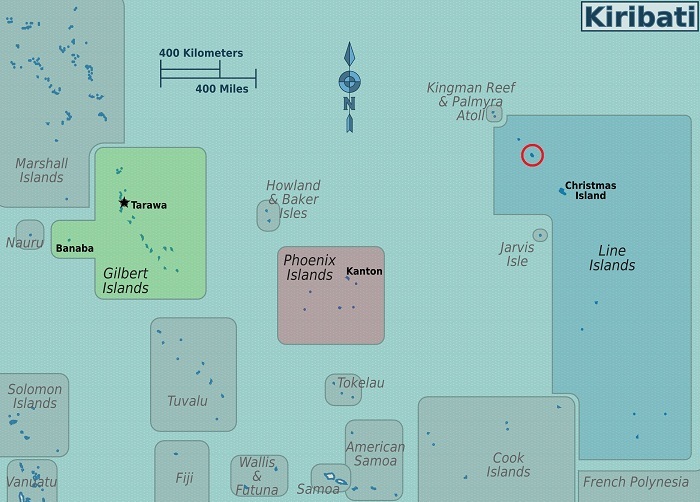 Still, there was an evidence which suggested that the atoll most likely has been a stopover by the Polynesians who were moving towards the islands of Hawai’i. As a matter in fact, Tabuaeran Atoll is considered to be among those landmasses which are as close as possible to the State of Hawai’i. 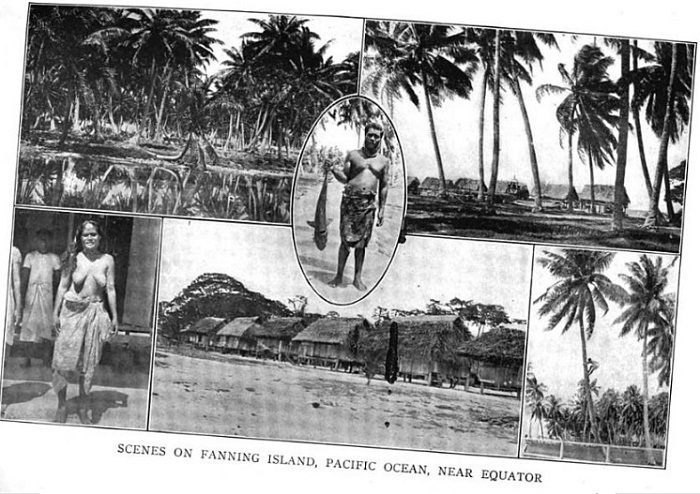 After Fanning’s visit, the atoll started being settled by people from different nationalities, from whom mostly were whalers. One of the bigger movements here occurred in 1855 when it was turned into a coconut oil plantation, nonetheless, later in 1888 it was officially annexed by Great Britain. 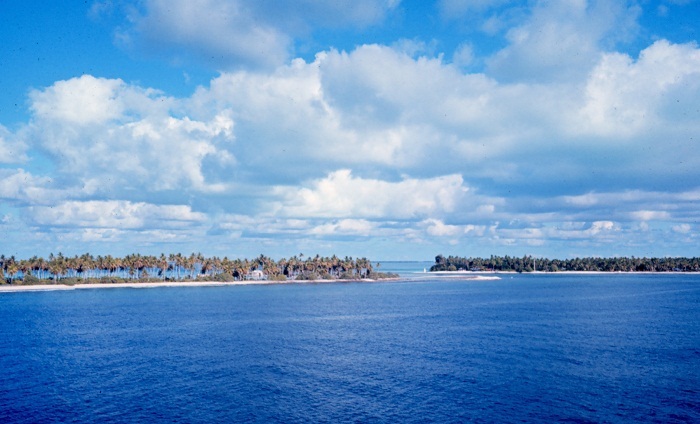 Since then, it can be clearly seen that the atoll’s islets are heavily planted with coconuts, which in turn give not so unique, yet extraordinary experience to its visitors. Unfortunately, a deep opening to the west side was blasted in the past in order for ships to go within the lagoon, but the development did not stop there. An airfield was constructed too on the northern part of Napari Islet, which has not been used since 1981. 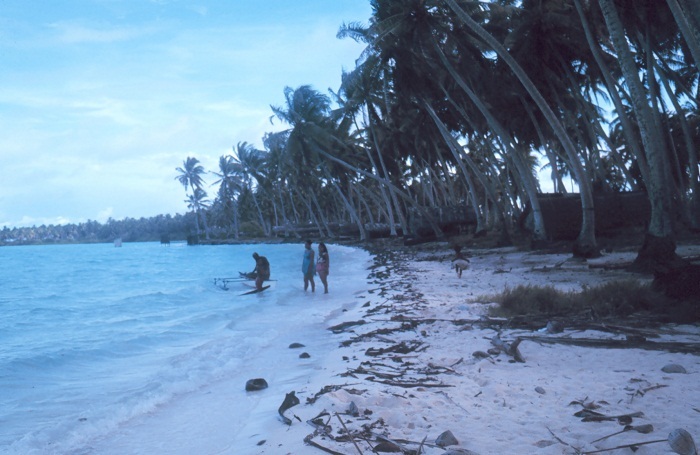 Today, being a somewhat popular spot for getting to know the local I-Kiribati people, there are tours which offer a visit to their homes, some seaweed farms, open-air markets in which people can purchase interesting shell jewelry, ornaments, hand carved shark tooth, knives, postcards etc. With the option of riding jet skis, sail hobie cats, renting paddle boats, kayaks or simply scuba dive in the not so deep waters, Tabuaeran will make you feel like on another planet. Those that are not interested so much in those activities, can simply enjoy on one of the pristine and perfect beaches around the atoll while admiring the unique, once in a lifetime heavenly landscape offered by Kiribati. All in all, a true magnificent experience which should not be missed whenever in the area, as it is always clear that visitors would get the maximum out of it.